We put together this transport in a flash to help clear the cages out of the South Carolina shelter before storm hits,” said Catherine Edwards with Maryland's PetConnect Rescue. WASHINGTON — Even before Hurricane Irma made landfall in the United States, the D.C. area already welcomed some animals from a South Carolina shelter. A local animal rescue group has transported cats and dogs from South Carolina to the D.C. area in an effort to free up space at the animals shelters down south. Once the hurricane hits, the shelter space will be needed for the animals that are displaced by the storm. Catherine Edwards is executive director of PetConnect Rescue, an animal rescue organization based in Potomac, Maryland. On Saturday afternoon in Vienna, Virginia, outside of the PetSmart off Route 7, the transport van arrived with the animals that were quickly paired with their foster families. 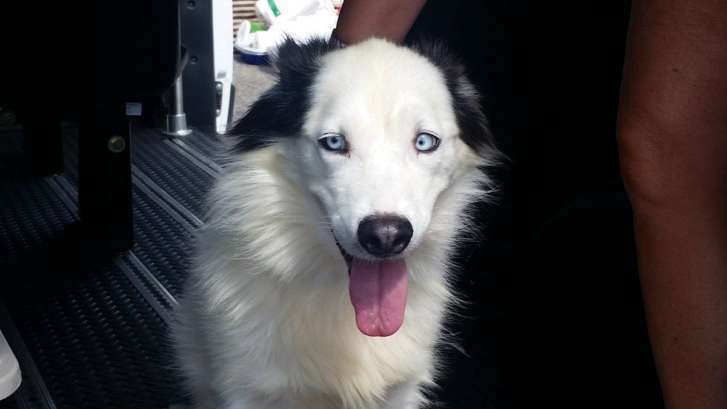 Snowbell is a white dog with blue eyes, believed to be an Australian Shepherd mix. She is headed to her temporary home in Middleburg, Virginia. These animals came from the Florence Area Humane Society in South Carolina. 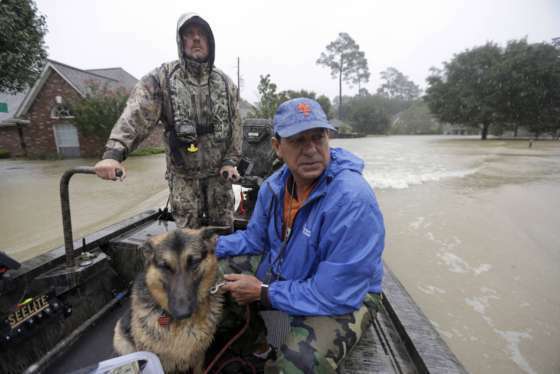 “We put together this transport in a flash to help clear the cages out of the South Carolina shelter before the storm hits,” Edwards said. She said the shelters in the south need to make room for the animals that will be affected by Hurricane Irma. Edwards said the animals that arrived in our area will be available for adoption in the near future and will be posted at the PetConnect Rescue website. These animals are not someone’s pets and have been cleared for adoption. After being in a shelter, Edwards said the animals need a little time to decompress, giving the foster parents time to assess the animal’s behavior and to learn a little more about the dog, including what type of human family and forever home they might need. Those who are fostering the dogs will also assess their energy level and find out how they are with other dogs, cats and kids. PetConnect Rescue has been working with their shelter partner, Florence Area Humane Society, for several years.